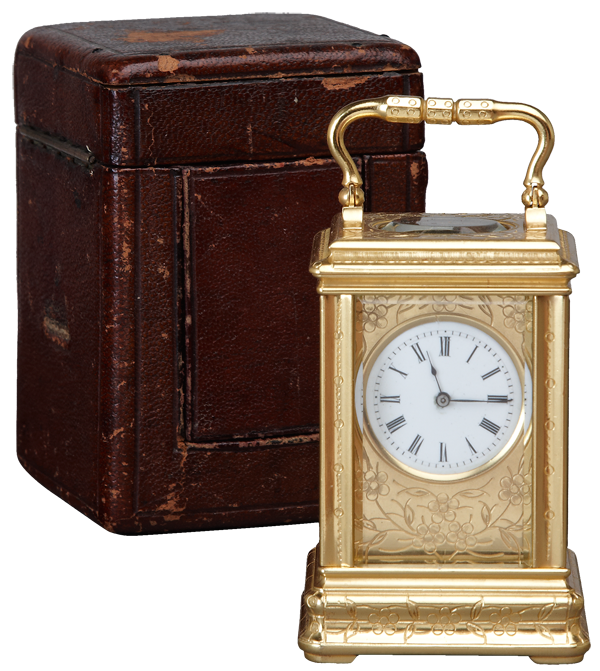 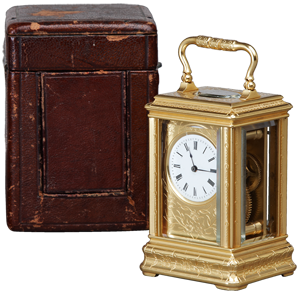 A 19th Century French miniature Carriage clock with an engraved case and mask to the enamel dial. 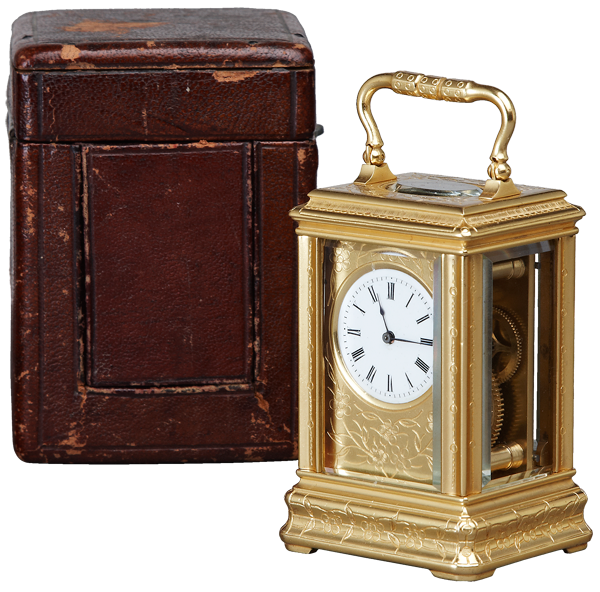 The clock with its original leather bound travelling box and key. 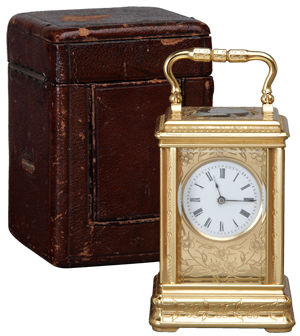 The 8 day movement with a platform lever escapement.